Welcome to the Analytical Based Development Center(ABDC) ! Integration Time 1 to 1000 mini-seconds. OS. WinXP, Win Vista, Win7. 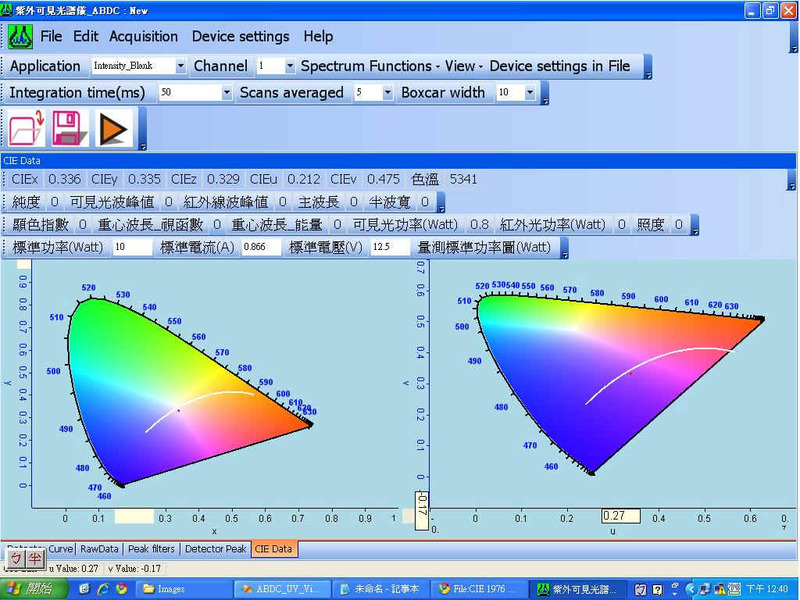 Simultaneous connection to multiple spectrometers, showing multi-channel spectrums in same window. The integration time(read speed), pixels number for signal averaging can be set dynamically. Peak identification assist for calculations of FWHM etc. Reapeted spetrum scanning and data stored with time interval or repeat count interval mode. Raw signal data points can be exported for Excel or Notebook in ASCII file format. With Driver (dll) for calls by programming languages. Software extending and integrating developments available from ABDC. (436)No. 140-7, Hoh Ann Rd, Gau Bee Li, Ching Shui Cheng, Taichung, Taiwan, R.O.C.